– Auricle was originally written for Simone Mancuso but I have since then revised it – both musically and technologically – Auricle v1.1. This new version uses Processing to display the score and Pd extended to handle the audio. If you check out my page on Auricle you’ll see that this piece has gone through several iterations due to the technical challenges involved. In the latest version, I was mainly giving consideration to portability while still maintaining the integrity of the piece so that others may easily perform it. I think I finally struck a balance…go me! – Omónoia is a new piece (2015) that is similar to another constellation piece I wrote titled, Agóna. Omónoia is for percussion quartet playing snare drums with many different objects and implements. 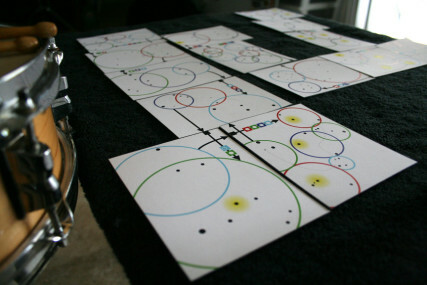 The work is an interpreted graphic score using specific constellations as the musical material. 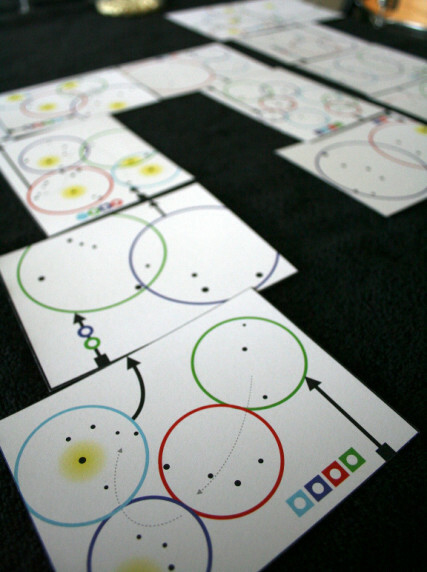 Additionally, the ensemble has to create a map of the score by carefully placing cards in a specific path. 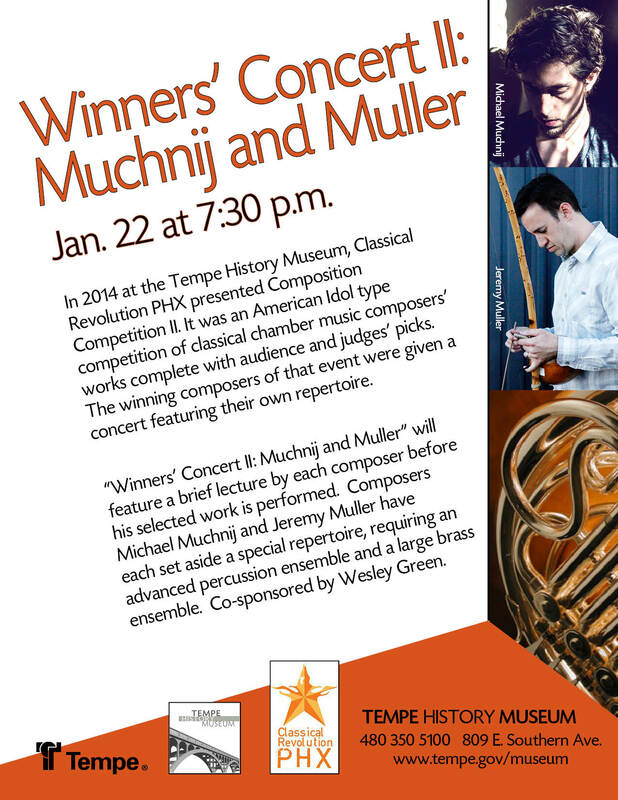 I hope to have audio, photos, and video of this piece being performed, soon. So check back. – Music for Botany is becoming a familiar work of mine that is getting a lot of mileage. It’s published by Bachovich music publications and you can find my page describing the piece here. This concert was held at the Tempe History Museum and was an event organized by the Classical Revolution Phoenix. The original composition competition consisted of two winners, one from the judges’ pick and another from the audience’s pick.